Frame: Distortion is reduced and protection enhanced with the rigid exoskeleton frame; Flexible O Matter chasis conforms to face for a comfortable fit; The O Matter stays flexible even in extreme cold; Plush comfort with triple-layer face foam and flexible face plate; Medium to large fit; Fast and easy lens interchangeability with Switchlock Technology; Lens: Spherical Revolutionary Prizm Lens: Maximises contrast between colours; Dual-vented lens with F3 anti-fog coating; High Definition Optics (HDO) provide maximum clarity and impact resistance; VLT: 11-20%; Conditions: Bright sun/ partially cloud/ overcast; Includes Spare Prizm Sapphire Lens (VLT: 11-20%) - best suited to bright to overcast conditions; Strap: Rigid O Matter strap for a comfortable fit with or without a helmet; Silicone-backed strap to keep goggles in place; Helmet Compatibility: Full helmet compatibility with streamlined frame and outrigger design; Whether you're cruising the piste or charging the backcountry, everyone knows that a quick change in weather can put a downer on even the best days. Who cares when you have the Airbrake goggles? Pull down the Switchlock lever, line up your spare lens and check it out, you've got the best lens tint for the right light.The Airbrake goggles come with a spare Prizm Sapphire Iridium lens, designed to improve colour perception. It's a lens best suited to bright sun or partially cloudy and overcast conditions - Oakley's Prizm technology has increased the range of suitable conditions. The Prizm Torch Iridium lens improves colour perception. It's a lens best suited to bright sun or partially cloudy and overcast conditions - Oakley's Prizm technology has increased the range of suitable conditions. 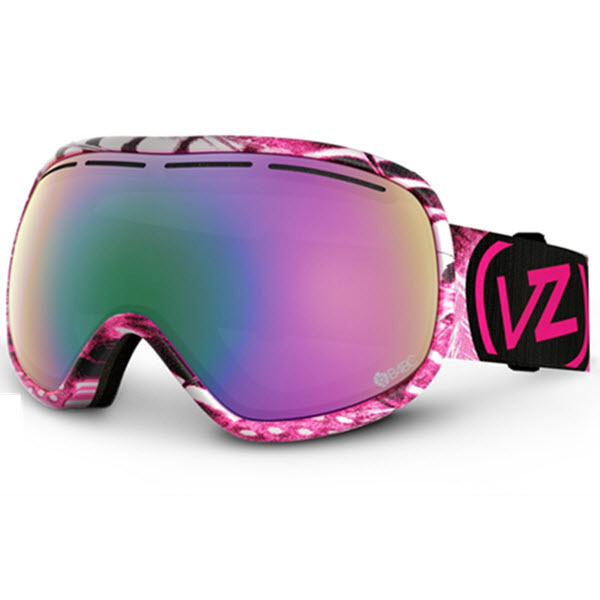 Glare is reduced thanks to the Iridium coating, making it perfect for endless laps of the park or piste! Oakley Prizm lenses will change the way you ride. 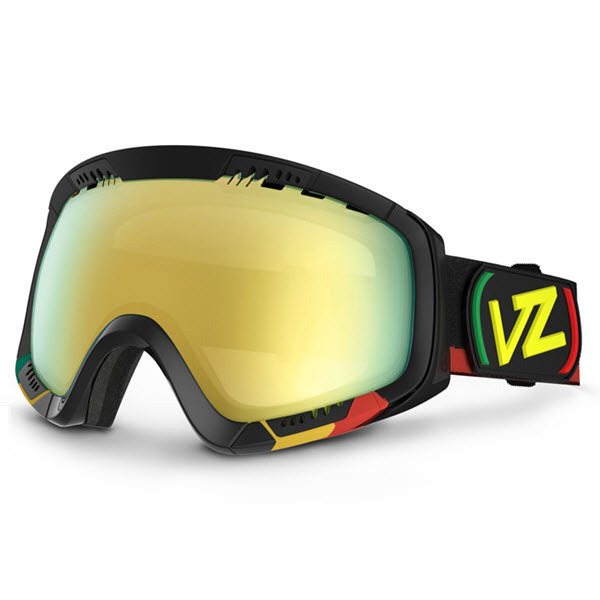 Not only do they enhancce the visibility of the snow detail and conouts, but they also help you to see more clearly, react faster and have that edge for the best ride possible. As Mikaela Shiffrin states, theses lenses take everything 'to a whole new level'. :: Men > Goggles Size: one size.